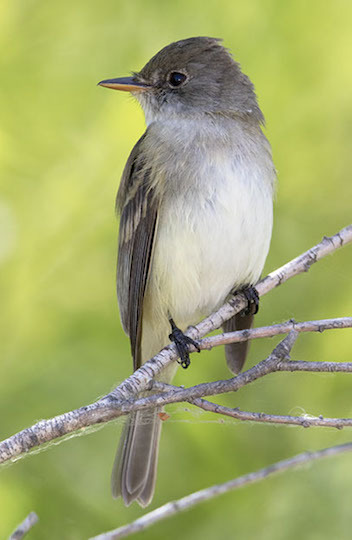 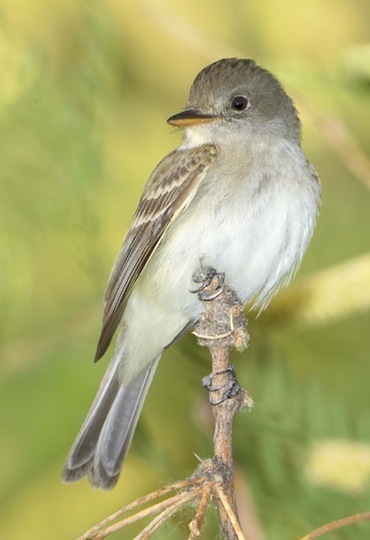 Difficult to identify like most Empidonax flycatchers, willow flycatchers are rare breeders and fairly common spring migrants in southern California (the locally threatened race is the Southwestern willow flycatcher). 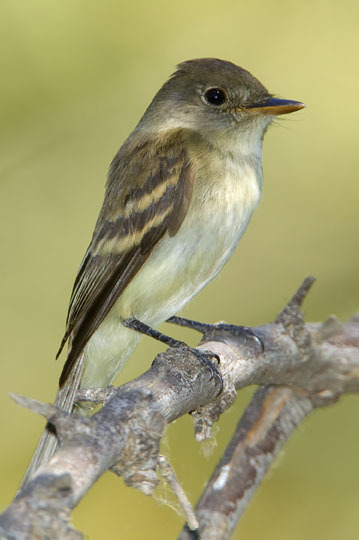 All members of the genus have eye-rings, two pale wing-bars, and the same general subdued coloration of various shades of green, brown, and yellowish. 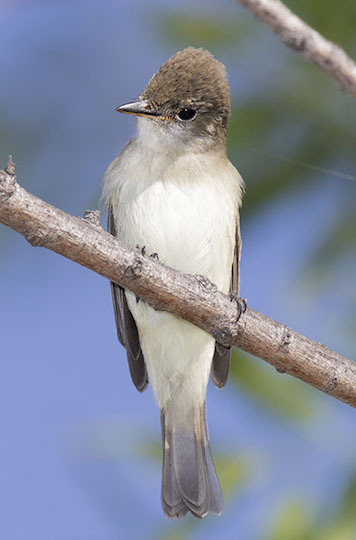 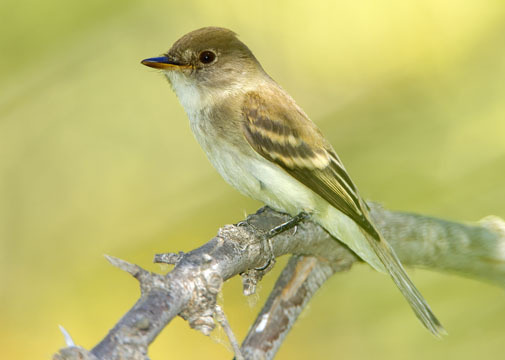 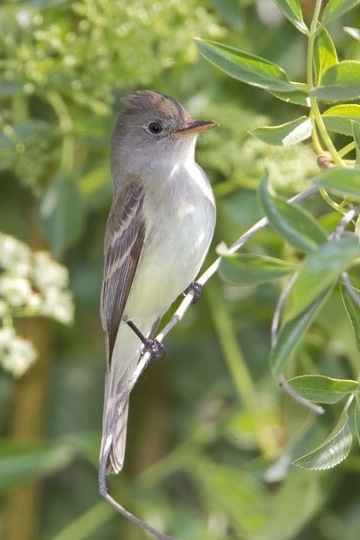 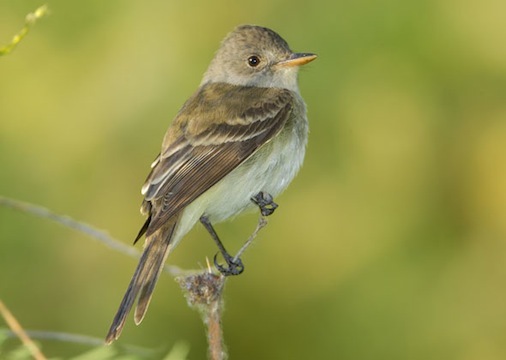 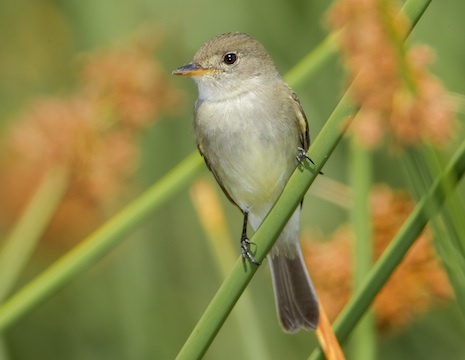 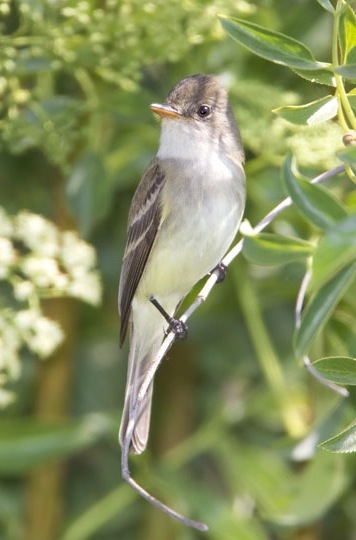 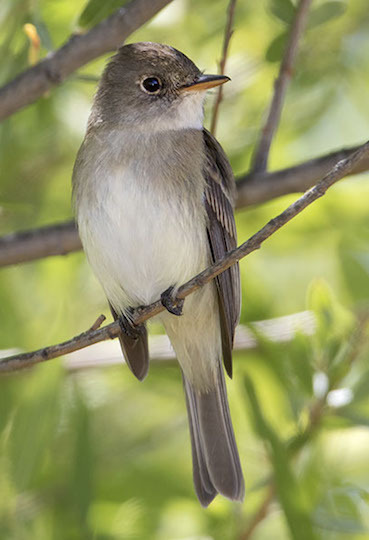 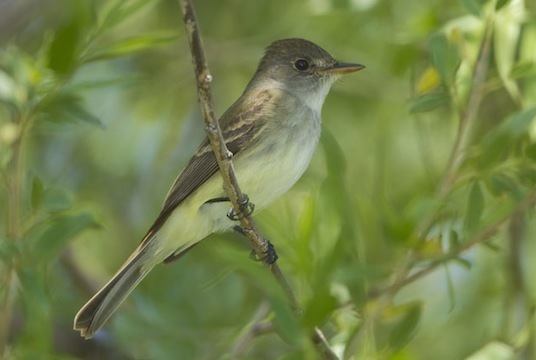 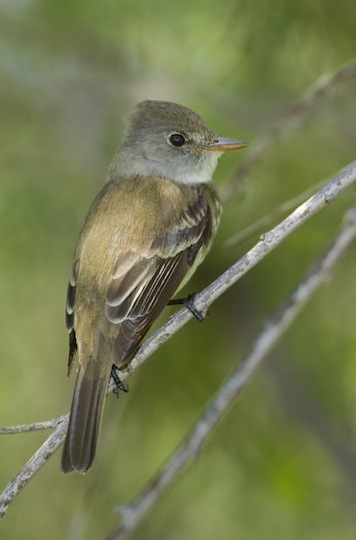 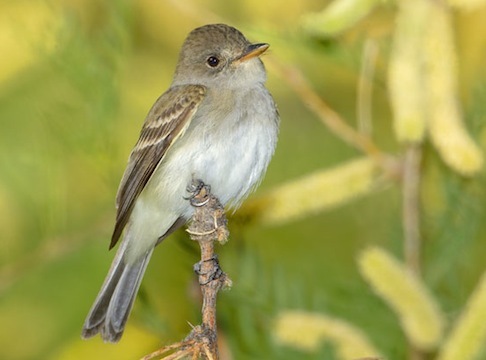 Willow flycatchers have 'flat' heads, often with the suggestion of a crest, thin eye-rings, a largish bill, a vague dark 'vest' contrasting with a pale white-ish throat, and an overall brown tone. 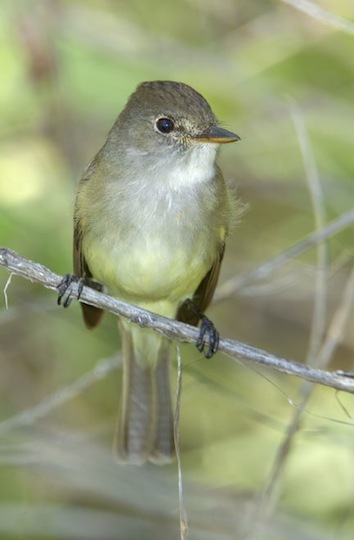 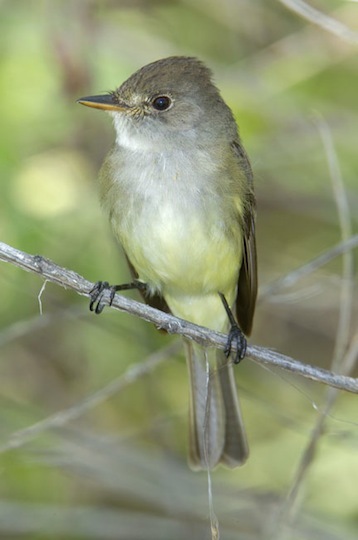 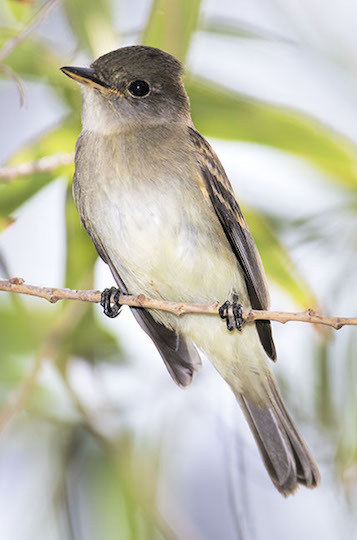 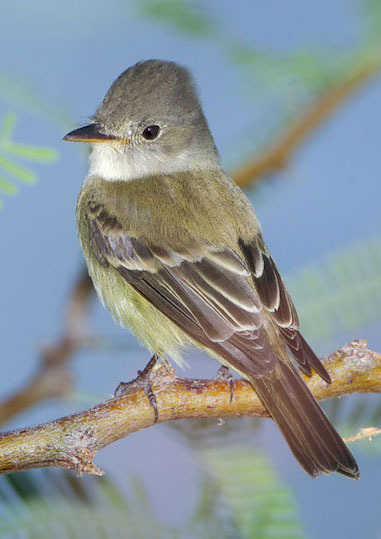 In these pictures the flat bill with surrounding bristles is quite visible, along with the two wing-bars characteristic of 'empids' (see also the pictures of Pacific-slope flycatchers, dusky flycatchers, gray, and Hammond's flycatcher. 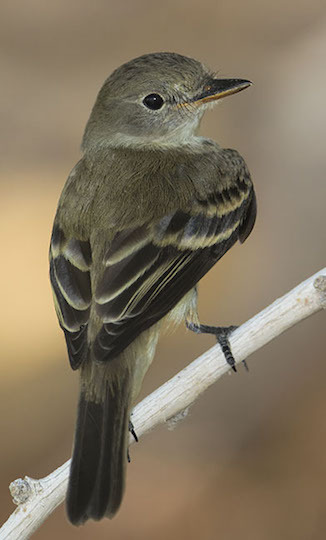 Young birds have buffy wing-bars. 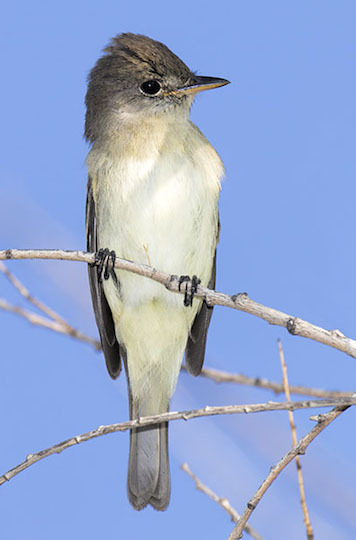 I took these photos at Big Morongo Reserve in the California desert, at Hidden Valley Wildlife Area in Riverside, California, and at the nearby San Jacinto Wildlife Area.